For those who do not want to believe a large cache of missing Doctor Who episodes have been returned, we get another release that takes missing episodes and gives it new lease on life by being animated. This time we look at the very first story to feature that race from Mars known as the Ice Warriors. 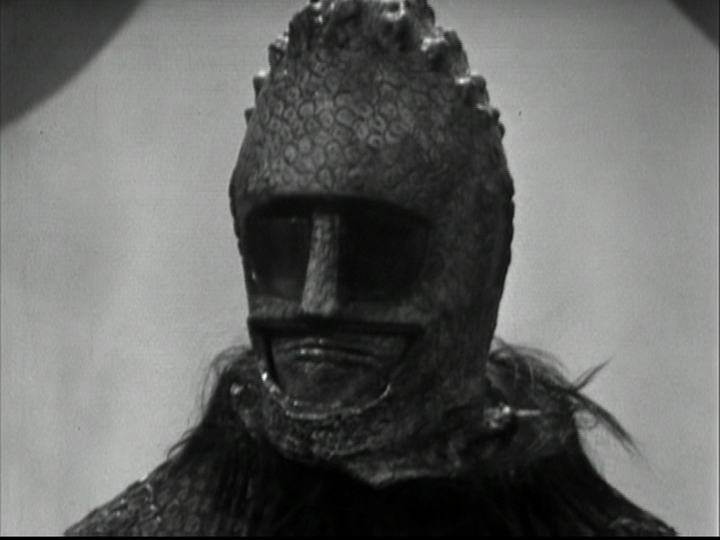 It supports a tremendous guest cast, generally looks really good and is considered an all-time classic from the famous Season 5 “Monster Season” of Doctor Who. This seems to have everything but yet I find that I have always been underwhelmed by the story. I go a long way back with The Ice Warriors. When I was younger and was into the whole video tape-trading culture, we were extremely happy when we heard the discovery of Episodes 1,4,5,6 of this story found at BBC Television Centre in 1988. It actually surprises me that such an important piece of television history can just be hiding in a closet in a building. I would have thought something like that could have been in a foreign TV vault in somewhere like Hong Kong or Singapore. It could perhaps be stored one room over from The Tomb of the Cybermen which would be found 4 years later from this story. It was a given that I would get a copy of these episodes at some point and I did but it took a lot longer than I would have thought. In 1990 I got my first copy of the story. It was a camera copy. For those who live in the world of digital downloads, the idea of a camera copy must sound horrific. Because the broadcast standards were different between the UK and US (PAL vs. NTSC), an NTSC camera would have been pointed at a PAL TV screen to make copies. It was so much easier and cheaper than paying money to get the stuff professionally converted. Though the problem was that picture quality was crap. The frame rates wouldn’t line up between the PAL monitor and NTSC camera causing the picture to flicker. If that wasn’t bad enough, the copy that was leaked from the BBC had burnt-in window timecodes and other data stating the name of the story and other pertinent information. To avoid that showing up on the camera copy, the person who did it zoomed the camera in on the monitor to make sure none of that was on the screen. As you can imagine, it cut off a ton of people’s heads on the screen. When I got this copy, I was unimpressed with the story. Camera copies never really bothered me before but this was horrible. It was hard to watch and I disliked the story. Later that year, I got the converted copy that was the full frame it was meant to be but had all of that window-burn information on it that was really difficult for me to get past. Over the years, I got higher quality versions of this story and finally in 1998 BBC Video in the UK released one of the coolest VHS releases of the range surrounding the story of The Ice Warriors. 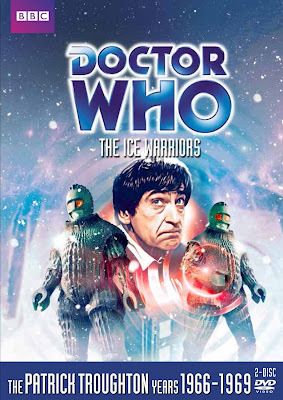 It had all 4 episodes re-mastered, a cut down reconstruction of episodes 2 & 3, clean audio of those episodes on a CD, a booklet about The Ice Warriors, and finally a documentary about one of my favorite subjects about Doctor Who, The Missing Years. This was the first time I had ever seen a documentary all about the missing episodes of Doctor Who. 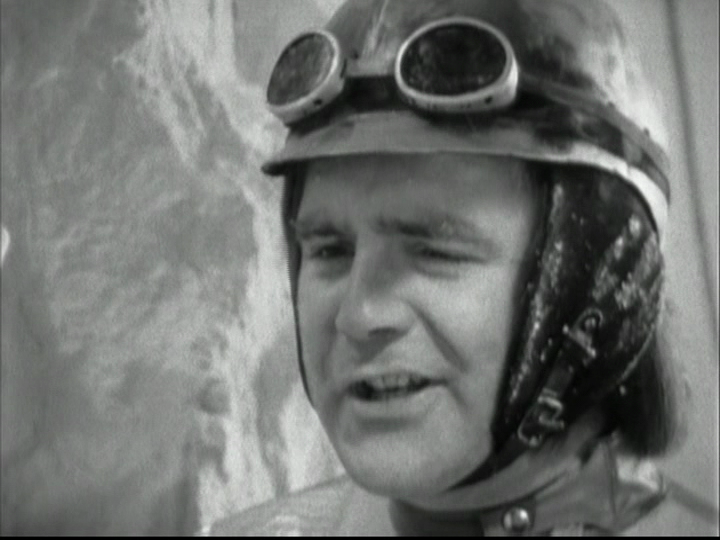 It even included The Underwater Menace Episode 3. We are spoiled by what is put on DVD releases for the series now but at the time this was a treasure trove, and still is. Yet, the story still did nothing for me. Why is that? 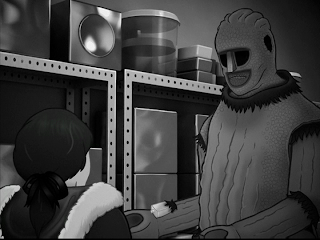 The story literally takes place after The Doctor, Jamie and Victoria leave Tibet in their last story The Abominable Snowmen. This story is set in the future and there are ice glaciers about to roll through the UK. 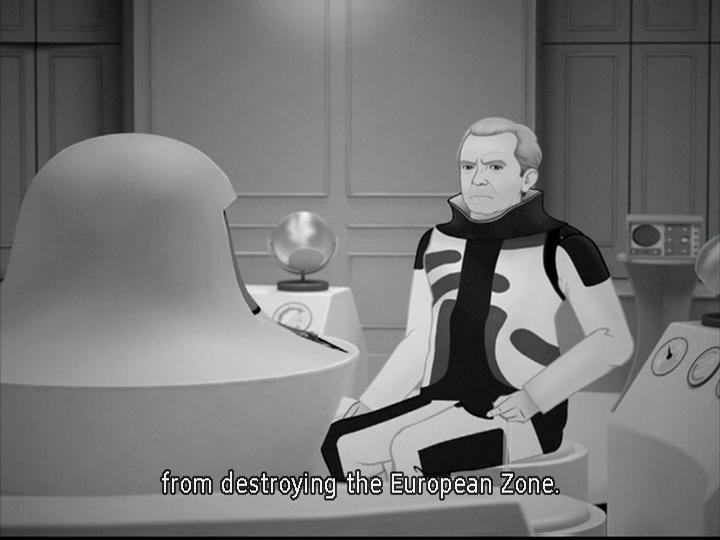 It’s the start of second ice age and the World power uses ionization to keep the glaciers back. That right there seems to be the main plot but it really isn’t. This threat still lurks after the Doctor leaves. He doesn’t change a setting on the sonic screwdriver and fixes the Earth before he leaves, he accepts this as how the Earth is during this period. There is one glacier that is threatening the lives of many people. There is a scientist who should be at the base trying to solve the issue of the glaciers but he is gone. This is the scientist Penley. Penley is the genius who has been working at the base but has had enough with the leader of the base Clent and has now left to become a scavenger along with the anti-technology scavenger Storr. Clent himself is an overbearing pompous man who has to do everything by the book or what the base computer tells him to do. He is not able to relate to people the way a leader should and is considered almost a machine himself since no one seems to be able to relate with him. We enter the story with hysteria going on in the base. There is a malfunction and everything is going critical with the ioniser possibly leading to a gigantic meltdown. Without Penley, who just recently left the base, Clent is left with working with people at the base who is not nearly qualified. Clent promotes Miss Garret, Penley’s assistant, to take his place on the spot. It is a pretty awful time for a promotion considering they are facing death. The TARDIS lands outside the base on its side. The Doctor, Jamie and Victoria have a great little scene of them trying to get out of the TARDIS which really shows the chemistry that has been created between the 3 of them. 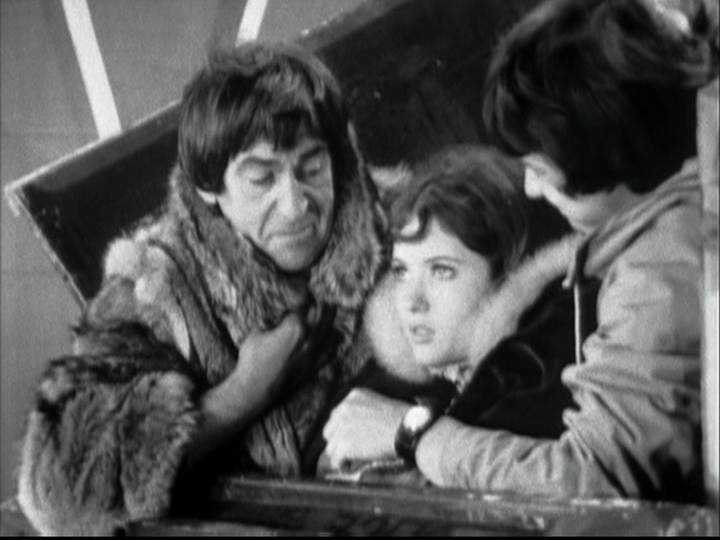 They enter the base and I think Troughton gives one of his best “Doctorish” moments when Victoria tells him they should get out of the base and the Doctor just looks at her and says no, they should stay and investigate. He delivers this line with childlike curiosity almost seducing his companions to stay with him and play. The three of them wander into the room of chaos where Clent and Garret are trying to figure out the situation. Once again, we get a classic Troughton moment where we see this little man running around in a fur coat trying to figure out how to fix this catastrophe. He takes everyone off guard yet he subdues the situation. Meanwhile, scientist Arden makes a discovery. In a glacier they are taking samples, he finds a man frozen in the ice. It is perhaps some caveman. Arden disobeys just about everything Clent says and brings the “Ice Warrior” back to the base. At the base, Clent has been drilling the Doctor about what he knows about being a scientist. Clent is eager to find a replacement for Penley. 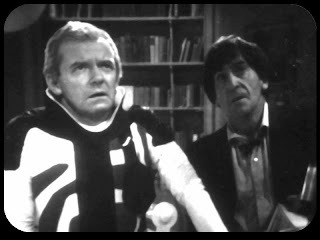 For some reason, the Doctor accepts the challenge of being Penley’s replacement. It’s just about this time that Arden returns with his warrior in ice. The Ice Warrior is set to melt while the team goes for a briefing. 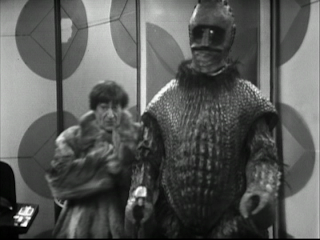 The Doctor notices that there is an electronic circuit attached to the warrior which concerns the Doctor so he decides to go find Clent to warn him of what he found. 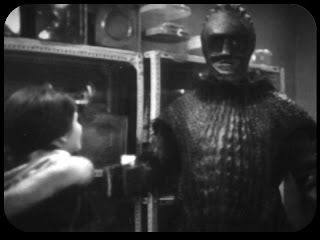 As Victoria and Jamie sit around discussing the type of clothing Victoria should wear, the Ice Warrior comes to life. This is just Episode One and while writing this up, I am thinking this story sounds great. It sounds really cool and atmospheric so why does it bother me so much? I don’t even find the pacing of the story all that bad. It takes a while for things to get going. 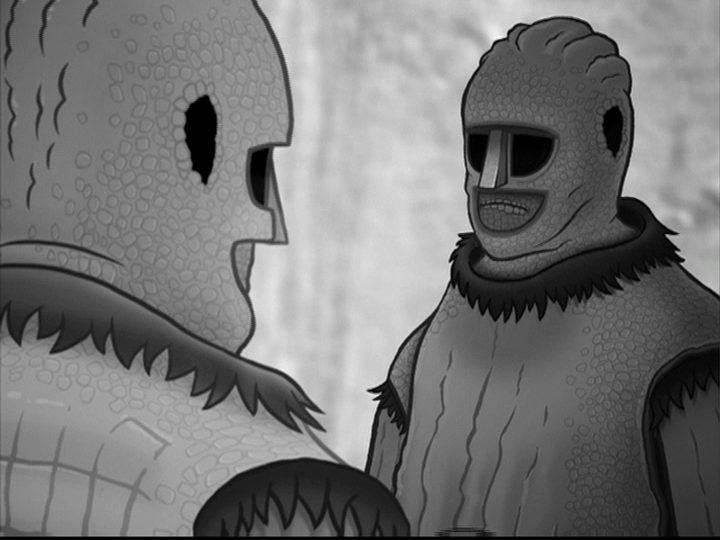 Episode Two is almost completely dedicated to Victoria and Ice Warrior leader (the one in the ice) Varga to wander around the base. The story does take it’s time. The problem is that it is loud with a lot of annoying sounds. I know that sounds like a horrible reason to like a story less but that is one thing that has always annoyed me. The very first scene with Clent and Miss Garret are really loud. They keep yelling at each other. They talk over each other and it is really hard to understand what is going on. Now, I am sure this is the point where someone will come in and tell me that there is a reason for that. The base is in trouble, things are not going well. In a real situation people will be talking over each other. It really bothers me in this story, it has always bothered me. Television needs to have dialogue that is understandable. Also, I am not a fan of the operatic attempt of song that opens each episode. Sometimes it works. Sometime the eerie echoey song while heard in the depths of the ice caverns are very effective. That is the perfect tone but often the music is overused and (to me) almost laughable. Apart from the main cast, I find everyone else pretty unremarkable. I like to think it is because they all work for Clent and have zero respect for him. They are tired of the situation and tired of him. It doesn’t make them any more likeable. I think I actually have the most sympathy for Clent. He is at least trying. He thinks he is doing the right thing. He is almost a serious version of Gordon Brittas. He thinks he is doing the right thing but in doing so he fails. It’s is as if he has learned his whole life from a book without any human interaction. Arden is a selfish guy who ends up sacrificing someone who works for him because he finds this warrior in the ice. He makes light of the situation. Yes, he does show remorse for the loss of a colleague but it’s too late. Miss Garret is a non-event who looks like she walked off the set of Hi-Di-Hi. She is in a tough place. She is asked to take over from Penley even though she is woefully underskilled and tries her best. She is proud of the opportunity yet knows what it entails. Then 5 minutes later, a complete stranger walks in and Clent gives her new job to him. Skorr is a ridiculous character. He hates science and technology. This story takes place in the future and I find it hard to believe a character like that would be around. He also seems to barely tolerate Penley. He really is a miserable man. Yet, the one who I have the least compassion for is Penley. Penley is a deserter when the world needed him the most. He hates Clent yet Clent isn’t that bad. 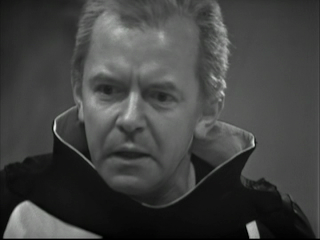 General Cutler in The Tenth Planet is a lot more unreasonable than Clent. I would hate to see how Penley would react working wth him. Dr. Barclay looked horrified having to work with Cutler. I understand that Penley is not cut out for the job he had and circumstance probably brought him there but his meltdown could have cost everything. Even when told how important he is to everything, he didn’t really care. It’s pretty sad that I am rooting for The Ice Warriors to win. Varga is pretty impressive. He is the definitive version of an Ice Warrior to me. There is that shot of him with the glacier behind him that I love and it is one of the most iconic photos of Doctor Who in the 1960s. 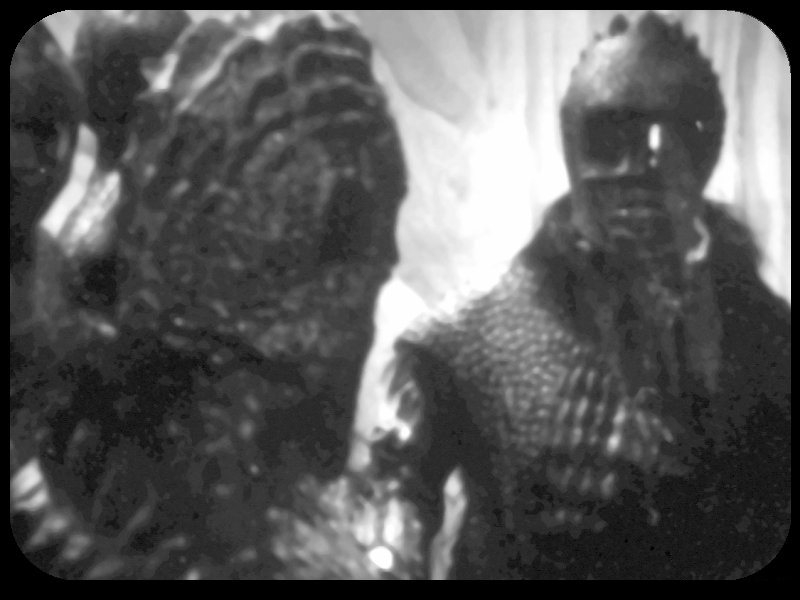 I can understand why in future stories they changed up the Ice Warriors to having a “leader” that is a different species from the Ice Warriors. Unfortunately, this is the first and last time until Cold War that the typical Ice Warrior was seen as a leader instead of just soldier. Varga is intelligent and impressive. During the filming prior to the studio recordings of this story, the look of the Ice Warriors change significantly. The helmets take on a huge change and it is for the better. The new helmets are sleeker and gives the appearance of being more mobile than the previous ones. You see the previous versions at the end of Episode 1 and also while Victoria is being chased by an Ice Warrior in the ice caverns. I think the design of the story is pretty good. I think the main computer in the base is less successful but it is not a row of reel to reel tape machines which is smart because we really have moved on from that technology. I think something that is British and not only necessarily in Doctor Who is the constant use of manor houses in stories. The base is located in a manor house. Here we are in the future and this manor house is in a protective dome, kept safe but still in use. This is very British and I love it. I think the highlight of the design is the ice cave system that leads to the Ice Warriors’ ship. It is hauntingly beautiful with shiny reflection of lights while Victoria plays a potentially dangerous game of hide and seek with an Ice Warrior. This has always been one of my favorite sequences only made better with a distinct echo when Victoria speaks or screams. This is where the sound design is great on this story. This story is directed by Derek Martinus and I really love his work. 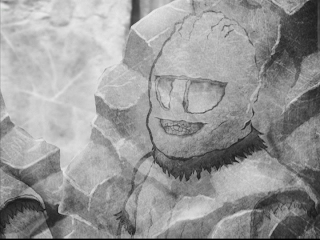 I think the Ice Warriors is my least favorite of the stories he has directed but there are some visually great moments such as the aforementioned sequences in the cave. 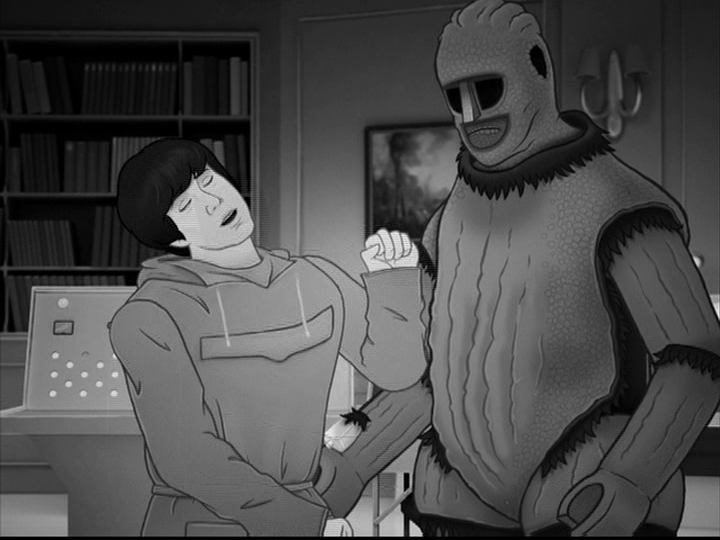 Something unique to this release is the animation of Episodes Two & Three of this story. 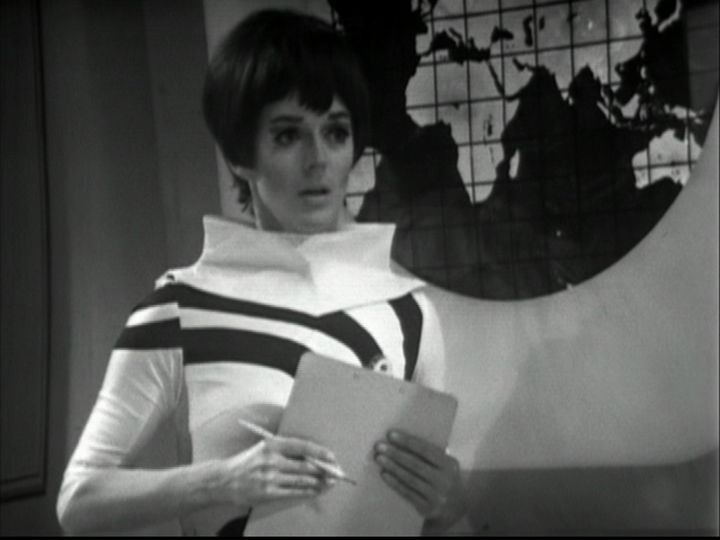 We all know that some Doctor Who episodes from the 1960s had been destroyed. 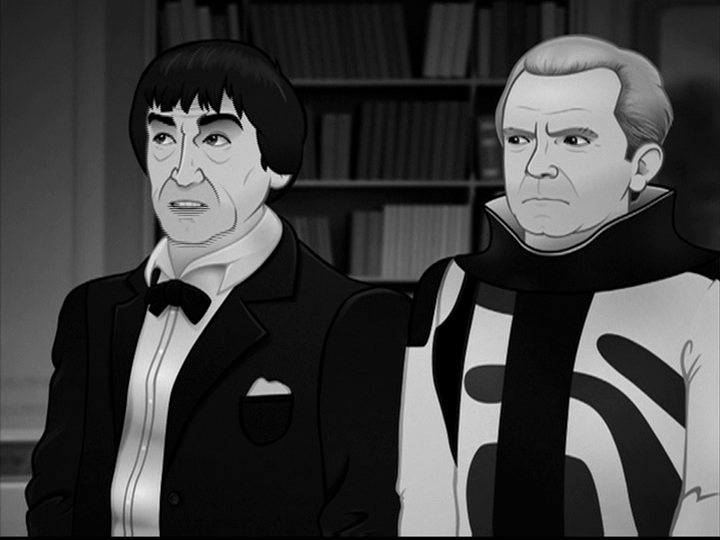 As a way to recreate these episodes for us to enjoy, the BBC have commissioned production companies to animate these episodes. We have now seen it on The Invasion, The Reign of Terror and some have been able to buy The Tenth Planet but the general release isn’t until November. 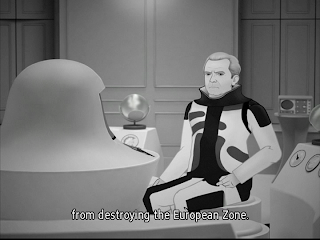 The animation on these episodes have been done by a different company called Qurios. The previous animations have been done by Planet 55. It is interesting as the animation is s vastly different from Planet 55’s offerings. Maybe it is not fair to compare but I do think it is an interesting study. The animation done by Qurios is headed by Chris Chapman. He has been producing content for the DVD range for some time. Some of the most recent stuff he has been involved with are the really nice documentaries on the Spearhead from Space Blu Ray release. The animation for The Ice Warriors is very simplistic. I think this is good and bad. One good thing about it is that the characters always look the same. The consistency level is there. The downside is that generally we get the same looks from the characters. Planet 55 really does a lot to give us different angles of characters yet the downside is that many times the characters look drastically different shot to shot. At their best, the character art from Planet 55 is amazing, almost stunning and at it’s worse it is horrible. For Qurios, it is consistent throughout but the characters look like they were designed by a team who worked for Hanna-Barbera in the 1970s. It is up to the viewer to decide if they like that. I personally still have mixed feelings. The overall flow of the episodes is a little stiff. The characters are basically “puppeted” in After Effects or something similar. Some shots really tell us that such as when Varga hits Jamie at the beginning of Episode Two. The way Jamie falls in kind of funny. Speaking of Varga, I am not a fan of how he looks in this. All of the Ice Warriors including Varga are overly simplified and just don’t seem to be even the right height. That really kind of takes the fun out of it for me. It’s sort of difficult because I know I am being perhaps overly critical of the animation style just as I was very critical of Planet 55’s first attempt with The Reign of Terror. Maybe I want these to succeed so badly that I want them to be the best they can be. That being said, this is probably the best it could be based on the technique they chose to animate this story. I know there was a possibility that The Reign of Terror animation could have been produced the same way (not by Qurios) and seeing it in action, I seem to prefer the (still troublesome) style of Planet 55 for more of a fluid feel. Don’t get me wrong, I look forward to seeing more with Qurios and I would rather have this than nothing at all. It is easy to sit behind a keyboard and critique the hundreds of hours individuals have put into making this the best it can be; I understand that doing these episodes is a huge undertaking. Finally, although the story doesn’t move me, you couldn’t ask for a better guest cast. Peter Barkworth is very commanding in this. Barking out orders I still seem to have the most sympathy for him. Barkworth always reminded me in a far off way of Patrick McGoohan. Odd, I know. 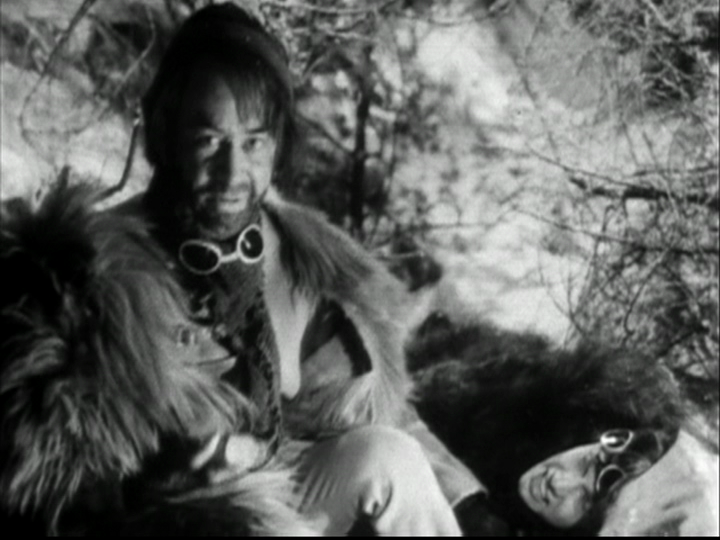 Peter Sallis shows up as Penley. It is probably a toss-up between Last of the Summer Wine and Wallace & Grommit for what Sallis is most known for. That voice is instantly recognizable. 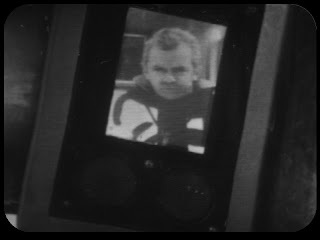 Angus Lennie as Storr will be seen again on DVD in Terror of the Zygons coming up in a month or so. I think the actor is great but I loathe his character in this story. Probably the best known actor for the time but one that few people would have recognized while watching would have been Bernard Bresslaw. 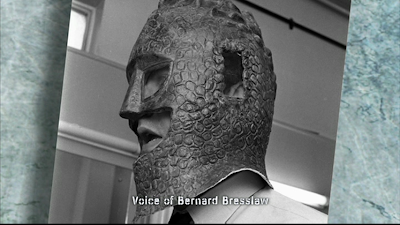 Bresslaw was making a big name for himself in the Carry On film franchise. He was a house hold name. I think it takes a lot of courage from the production team to get a big name like that and completely cover him up in a costume. It is because of Bresslaw we had the distinctive whisper voice of the Ice Warriors with the SSSSS. 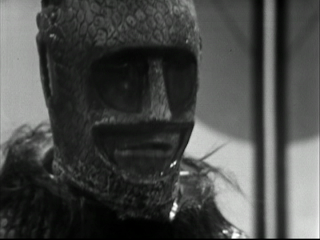 It’s just like I said earlier, I think Bresslaw playing Varga is the most iconic of all of the Ice Warriors. Audio Commentary: I thought the approach to the audio commentary was really interesting with this release. Episodes 1,4,5,6 was a “live” commentary with Frazer Hines, Deborah Watling, Sonny Caldinez, Designer Jeremy Davies, and grams operator Pat Heighman. Episode 2 had a different approach with archive interviews making up the commentary. This included Bernard Bresslaw, Peter Barkworth, Wendy Gifford, make-up supervisor Sylvia James, writer Brian Hayles, director Derek Martinus, and costume designer Michael Baugh. Episode 3 commentary was a nice commentary with Michael Troughton, son of Patrick Troughton. Throughout all of it was the voice of Toby Hadoke to keep it all together. Episode 2 was a nice experiment that I felt worked out well. It is a great way to use archive clips some of us never heard before. For the stuff many of us have heard, like the Brian Hayles stuff, it is contextual and makes perfect sense for being included. Episodes 1,4,5,6 is perhaps not-surprising a lot of fun. Frazer and Toby have a great repertoire and Debbie takes a lot of bantering from Frazer. Although Pat sounded a little nervous at times trying to get a word in about what he does, his and Jamie’s contribution are invaluable. I love hearing about how Doctor Who was produced in the 1960s. Sonny is enjoyable too as he was in so many other things than just The Ice Warriors. 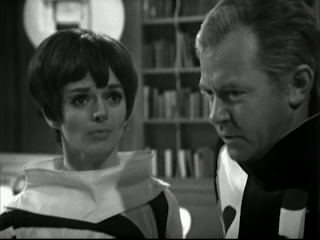 Frazer, Debbie and him worked together not too long before on The Evil of the Daleks. Cold Fusion (24 minutes): This is the making of The Ice Warriors. These making of programs have held a generally high standard over the last few years. There isn’t a lot that I learned from this but I know there will be a lot of people who will gain a great insight from watching this. I found it interesting that the designer, Jeremy Davies, thought he did an alright job on the sets that were meant to be made of ice. I think they are gorgeous and I am glad people have been able to see his work and enjoy it. Beneath the Ice (10 minutes): This is the making of the animated episodes of The Ice Warriors. We get the story of how Chris Chapman initiated contact with Niel Bushnel and Chris Chatterton. There is one thing that is very clear from this and that is they have a passion for what they do. 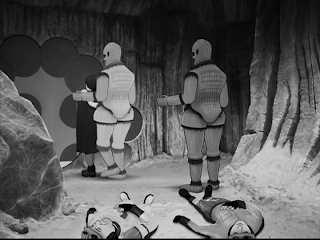 They didn’t seem to know what The Ice Warriors was (apart from Chapman) when they started but for anyone who thinks animation is easy, these making of pieces on these discs should provide enough evidence to show it is a lot of work. VHS Links from the 1998 video release (19 minutes): This is a nice bit of nostalgia that even includes the BBC idents which is a plus for me. Thanks for always including the cool stuff like this! 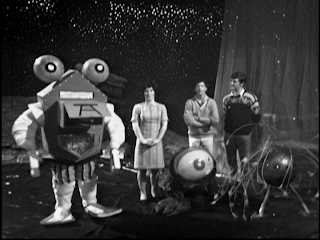 Blue Peter Design-A-Monster (10 minutes): I love the Blue Peter segments included and I have always loved how Blue Peter was a champion for Doctor Who. I have seen a snippet of this in More Than 30 Years in the TARDIS but it is nice to see the full clip. It’s a pity there isn’t any footage of Troughton taking part in the judging. That would have been gold! That being said, I am really happy with what I got! 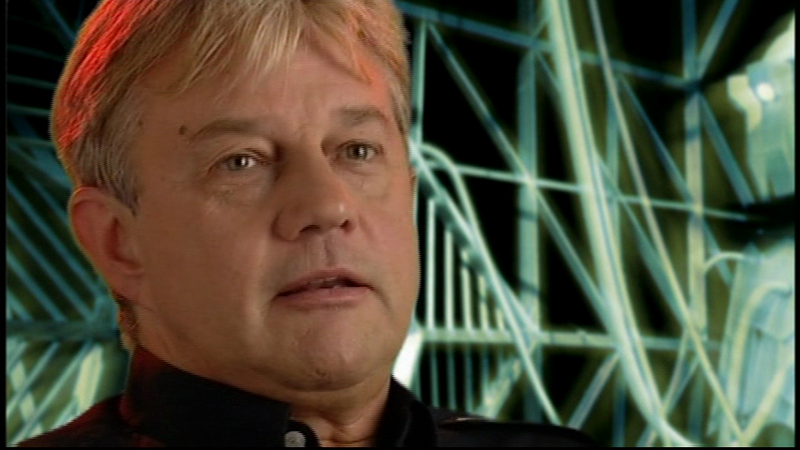 Doctor Who Stories – Frazer Hines (Part Two) (13 minutes): More of Frazer Hines from 2003 giving us a little bit about himself. This is a prime example of why I love these releases. This didn’t need to be included but they wanted to include because they knew we would like it and it would fill out the disc. I love it! Animated Original Trailer: This is taking the audio for the original trailer specially produced in the 1960s with new dialogue and performances from Peter Barkworth and Peter Sallis and made into an animated trailer. It is a nice curiosity; I am not sure it is entirely successful but the biggest hurdle to jump over is the quality of the original audio which really is not great. There is nothing that could be done about that unless a new source of this recording came to light. The DVD is rounded off with the usually excellent production subtitles, photo gallery and PDF materials. It comes in a standard double disc Amary case with a nicely composed cover by Lee Binding. What Lee does is not the “classic” pose of a monster that I might expect to see on a cover but tries for something different. 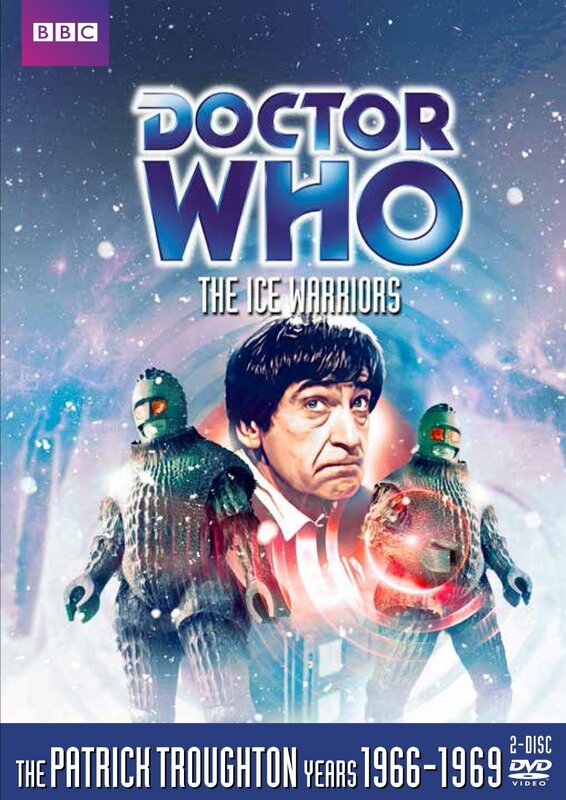 I love the iconic images but I think these images of the Ice Warriors look great on the cover. It’s visually striking and not the standard images we would expect. When reviewing these releases, I should really just say that they are excellent. For the amount of work and care that go into them it really does feel churlish to make a complaint at all. I have some non-Doctor Who releases that I will watch and wonder “what are they doing? !” but with the Doctor Who releases, if there is something I don’t agree with, someone with explain with a competent answer to explain the ideology behind the decision. We are lucky, this is an excellent release. Support the range and buy this! Next Week: I continue my preview/review of Foyle’s War Series 8 with The Cage and I am also super excited as I am about to start watching Series 7 & 8 of Poirot on Blu Ray. These are all being released by Acorn Media. This was the review I have been waiting for. I have not had a chance to view the entire serial yet on DVD, but I have seen through episode 3. Reason I am holding off on 4-6 is because we showed this at our international tv day this month and 4-6 is scheduled for next month. As far the animation goes my hats off to the guys at Quiros for attempting this. 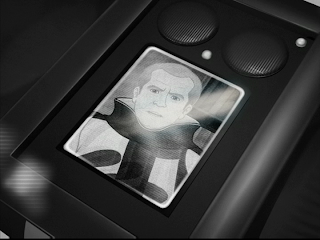 The overall group I was with preferred the animation from Reign and 10th Planet over this one. I think it has to come down to the movement and motion from Planet 55 it felt like they attached a suit to real actors that can send feedback to a computer and go from there. A very simplistic version of Renaissance's animation with Daniel Craig. I think here they sacrificed life like faces and movement for spot on animation right around the level of Lou Scheimer not bad, but not great. With that being said though it is a welcomed edition into my house and I now feel like I can watch this serial without feeling lost like I did when watching the telesnaps for the VHS release overall. That being said I found this set of special features for Doctor Who to be among the best done for the Classic Doctor Who on DVD and definitely I think the best set in the last year. 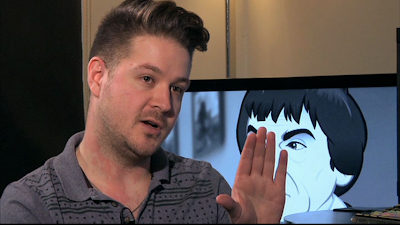 On a side note Greg thanks for pointing out that the Blue Peter contest thing is actually an extended version. I was going like why did they put something we already had as a special feature on previous release for this release and it turns it they didn't. Cold Fusion was great and I enjoyed Sonny Caldinez's interview. As I mentioned in my review, if the two studios could combine their quality/consistency it would be great. I think we would be shocked to hear how much these animations cost in terms of low the money available is so I should just be happy it is happening at all.